With so many different drug rehab programs available, narrowing down the options can be overwhelming. Many patients consider a women’s drug addiction rehab program for their recovery. While programs exclusively for women are beneficial, they aren’t always necessary. Women who are serious about recovery should understand how to choose the best rehab for their specific, unique needs. In a women’s drug rehab program, all female patients deserve the same key things. Above all, patients need 24/7 monitoring, quality medical care, an evidence-based treatment plan, effective therapies, and a smaller staff-to-client ratio. Although rehab takes place after detox, medical care is still necessary. Women deserve quality care with around-the-clock medical professional support. This not only means there’s emergency support in any situation but also gives patients and their loved ones peace of mind while healing. Additionally, women in drug rehab programs need an evidence-based plan for treatment. This means treatment methods need to be as effective as possible. Pairing evidence-based programs with alternative, holistic therapies is also extremely beneficial to lasting recovery. Often, women gravitate toward gender-specific rehab programs to feel safe and gather peer support. Fortunately, these are obtainable through traditional and gender-specific drug rehab as well. Above all, every individual patient is unique, regardless of their gender. Creating environments that ostensibly cater to the individual regardless of gender is another effective addiction treatment method as well. While some female patients have a lot in common, they are far from identical! Therefore, choosing a drug rehab program for both genders might offer more flexibility. As you explore diverse drug rehab options, be sure to pay attention to available programs. The need for lasting recovery is strong. Opting for your own specific, unique form of rehab is ideal. A customizable approach to recovery offers the best results for lasting sobriety. Patients should opt for a full intake evaluation. This determines their medical and mental health needs, and it takes lifestyle networking into account. The evaluation sets the tone for the creation of an individual treatment plan. The path to recovery is different for every woman, and you deserve a treatment plan that caters to your needs. 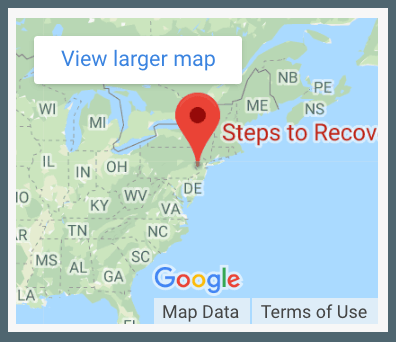 At Steps to Recovery in Levittown, Pennsylvania, you can get the addiction therapy services you need with a women’s drug rehab program. Call 866-488-8684 and make the first move toward a life of health, happiness, and sobriety.